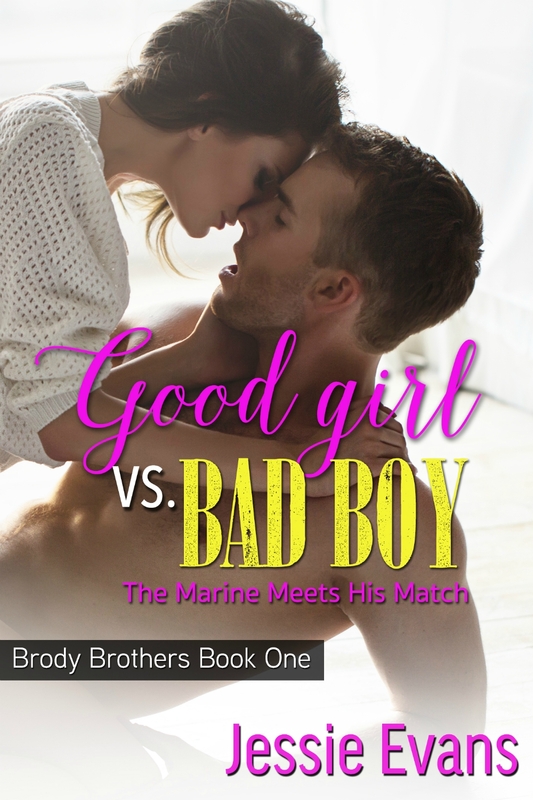 Jessie Evans' "Good Girl vs. Bad Boy" is the first book in the Brody Brothers series. Phoebe Page is back in her hometown after her sister dies. Colton Brody is back home working for the fire department while he rehabs to go back into the Marine's to show them that even though he lost part of his leg, that he was still a badass soldier. Colton just happens to be one of her best friend, Daisy's older brothers. Phoebe has always had a crush on him. What happens when their worlds collide again as adults? Will sparks fly, or will they still be friends? Find out in book one of the Brody Brothers series!! !